So this answer explains why Naruto say "dattebayo" or "believe it" in the English translations, being that he inherited it from his mother. 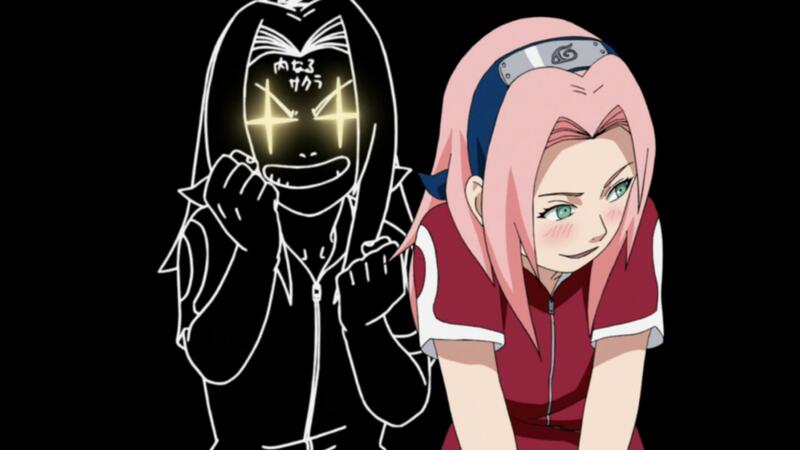 In the English dub, the second Sakura often ends her sentences by saying "cha". What is the reason for this? Is this something she picked up from her parents like how Naruto inherited his mother's habit, or is there some other explanation for this? According to Catchphrases and Verbal Tics from Naruto Wikia, the phrase "Cha" was replacement of "Shannarō" and "Shannarōyo" in the English dub often used by Inner Sakura, which have no literal meaning, but it can be translated into "Hell yeah! ", "Hell no! ", or "Damn it!" depending on the situation. Does a Jinchuuriki gain the nature of his/her tailed beast? Why does Rin Nohara have purple stripes on her cheeks? How did so many people get away with cheating during the written portion of the Chunin Exam? Why didn't Kushina die when the Nine Tails was released from her? What does the 8 inner gates require to use?